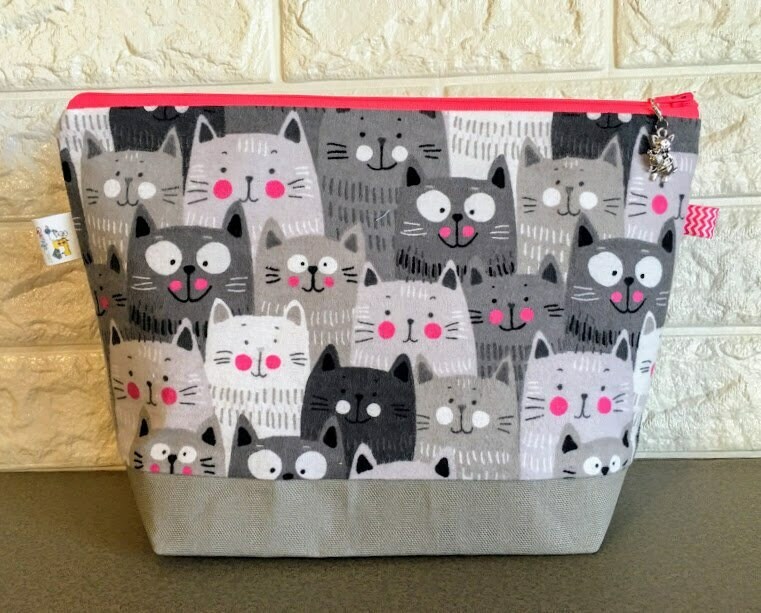 Fanciful Cats Handmade Knitting Project Bag with gray trim. Great item with fast shipping. 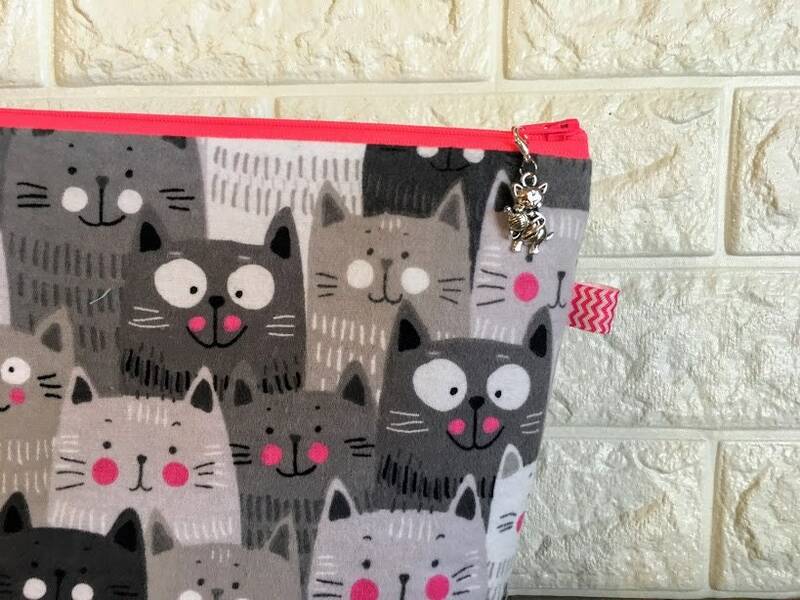 The interfacing is perfect to keep the bag upright, and I love the customized pull-tab charm. Adorable! Arrived super fast is perfect and I’m using it already. 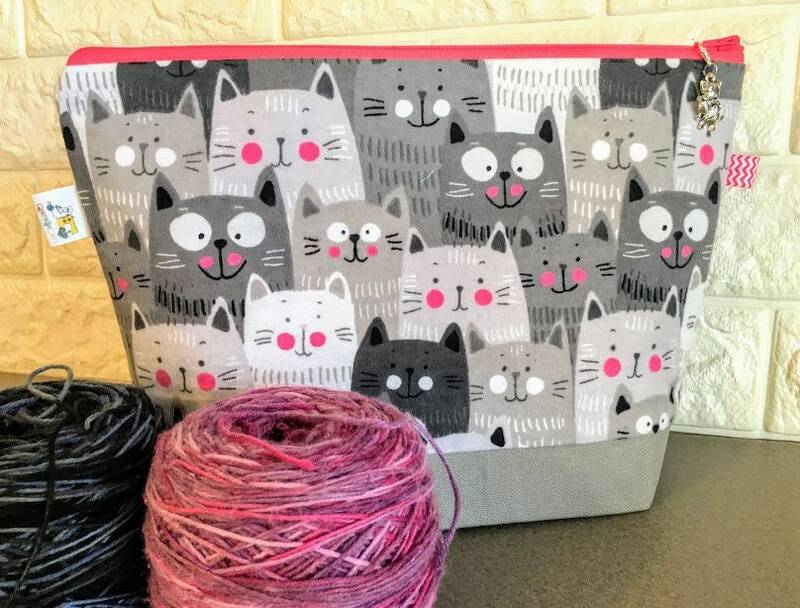 Thanks for making such a cute project bag :) made me so happy love the fabric ! Thank you so much. 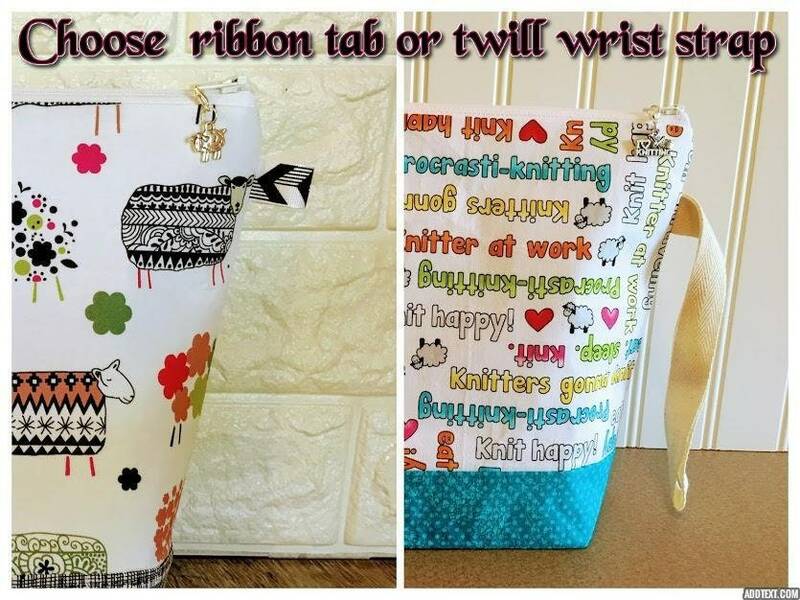 Your workmanship is perfect and these bags are just lovely! Love this bag! 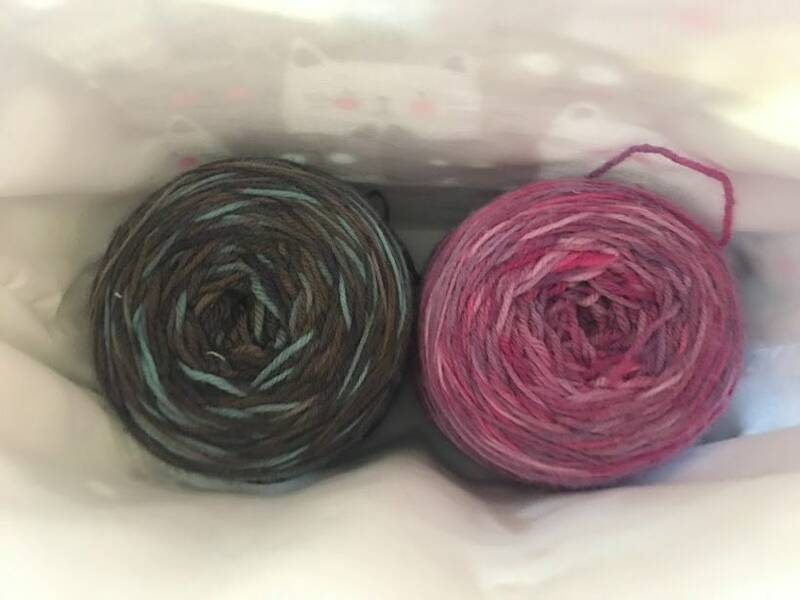 Very nice size and perfect to hold my knitting in!